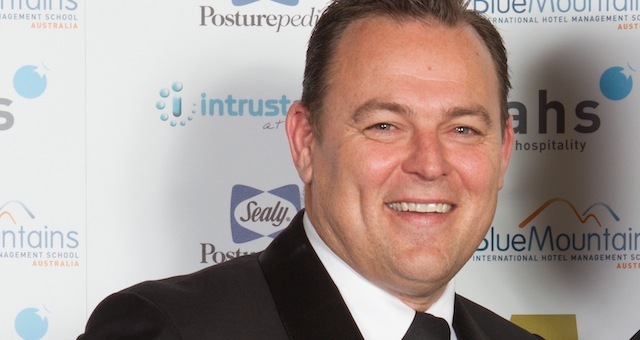 In late breaking news today, Accommodation Association of Australia CEO, Richard Munro, has today announced he is stepping down from his role after eight years to take up a new role outside the accommodation industry as the new Group CEO of the Cronulla Sharks. An extensive search has commented across the industry to find a suitable replacement, with shortlisting and interviews to commence in due course. At the same time, Munro will step down from all State and Federal Government boards and workgroups such as the Federal Collaborative Partnership on Mature Age Employment and the New South Wales Short-Term Rental Accommodation Code of Conduct Advisory Committee. Munro’s successor will join both groups in his place. Hot on the heels of securing a huge victory for accommodation businesses across the country against narrow-rate parity and competition against OTAs, Munro said the opportunity to lead the AAoA was an enormous privilege. “I am most proud of the fantastic, capable team we have built, expanding the association via our Advisory Boards and delivering on important advocacy outcomes. I have also appreciated the support of the President and the Board, the AAoA team, our members and commercial partners through our evolution and expansion phase,” Munro said. AAoA President Julian Clark has led the chorus of praise for the legacy left behind by Munro, issuing thanks on behalf of the board and the entire membership. “Mr Munro has grown the membership, our corporate partnerships and our brand to the respected leadership position that the AAoA now holds in the Tourism and Accommodation industries as well as the broader business sector. [The rate parity solution] is just one example of how Richard and the AAoA have worked to deliver a fantastic outcome for our industry. Richard is leaving our organisation on a high as far as the AAoA and the industry goes,” Clark added.